Breeze up to the Downs is a network of three bus services linking the city with popular countryside areas within the national park. The South Downs National Park Authority has a selection of walking trails on the stunning South Downs around Brighton & Hove. Build effective partnerships to tackle the challenges facing the South Downs National Park, including climate change, demographic change and development pressures. The council has always supported a national park for the South Downs and confirmed this in response to a government consultation early in 2002 along with recommendations for the proposed boundaries. 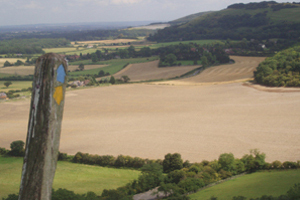 The council has worked with the new National Park Authority, including Defra, South Downs Joint Committee and the other local authorities, to agree work functions such as planning and countryside management (eg rights of way). 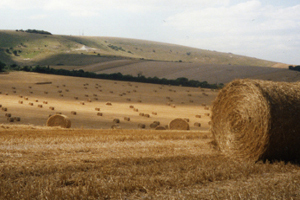 The Sussex Downs Area of Outstanding Natural Beauty was revoked to coincide with the national park coming into being, along with the South Downs Joint Committee (previously responsible for the Area of Outstanding Natural Beauty).